The "Effio-P" (CXD4129GG) is a signal processing LSI for complementary color CCD cameras. 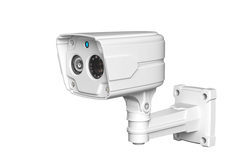 It supports 960H and 760H CCD image sensors with wide dynamic range, achieving high visibility under backlight conditions and scenes with high contrast. This device incorporates both memory and microcontroller in the same package, which can realize various functions such as e-zoom, slow shutter, and other functions.